Closed system, no vermin, no smell, no spreaded waste. The 3m³ Mini-Max-Compactor is is unique and is used where space is limited or expensive. With a compaction of up to 1:9, the Mini Press compresses a volume of 25 x 1100 L or 112 x 240 L standard containers. The space required for conventional waste containers can be reduced by 70-80%. At the same time, the logistics costs in the collection can be reduced. 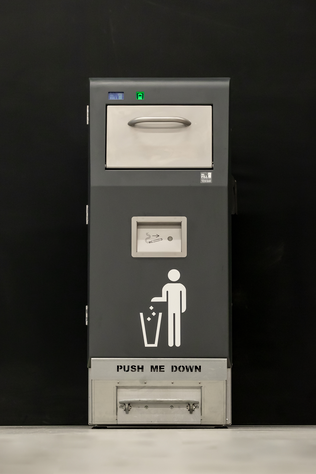 The mini presses can be supplied with lift-tilt devices, access control, drainage outlet, level indicators or with a funnel for connection to refuse chutes. The mini presses are closed systems: clean, no vermin and no odour nuisance. The space required for conventional waste containers can thus be reduced by 90%. At the same time, logistics costs can be optimized by reducing collection intervals. The underground compactors are almost "invisible" and vandal-proof. The environment becomes significantly cleaner, no open or overfilled waste containers, no vermin and less odour nuisance. 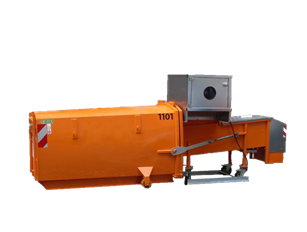 The Eco-5m³ underground compactors can be supplied with lift-tilt devices, access control, level indicators and different column designs. 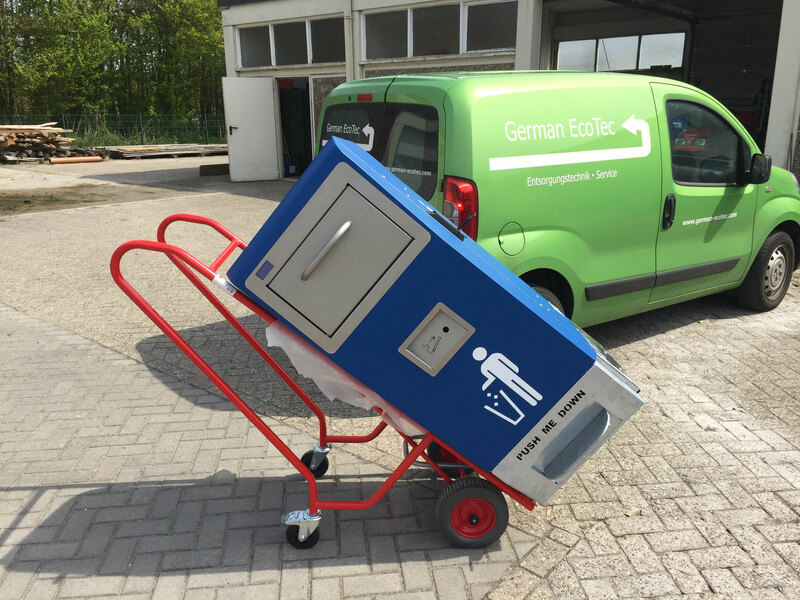 Magnetic handcart in three functional variants (MagnoJack Basic, MagnoJack Comfort and MagnoStack) enable safe handling and stacking of "white" goods in recycling yards. 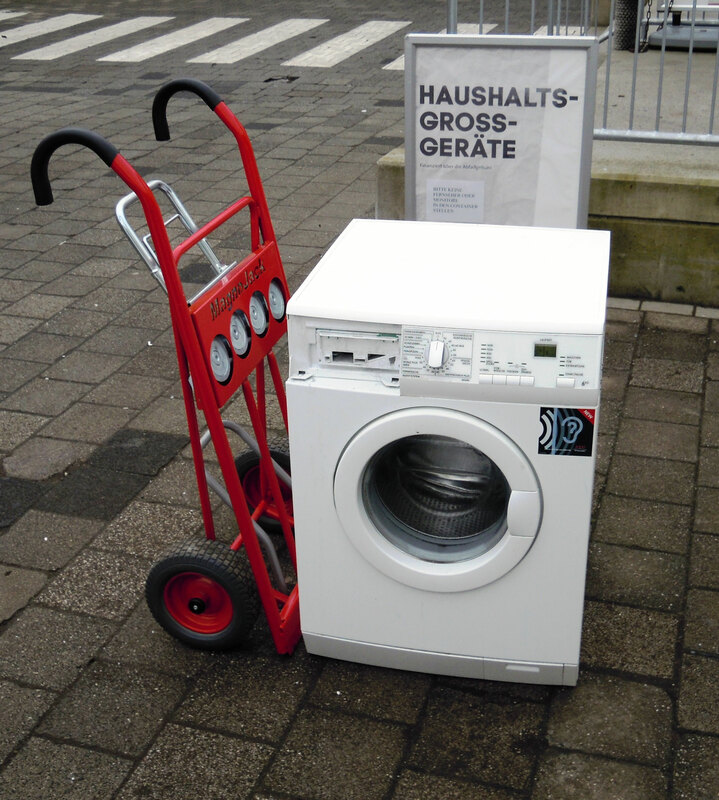 Heavy washing machines can be stacked up to 3-high in the container.